Glasgow artists filled out an application on the mysterious monster's behalf. 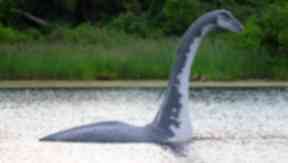 The Home Office has rejected a bid to grant the Loch Ness Monster permanent UK residency. A Glasgow arts collective filled out an application on its behalf after becoming concerned the beast might "leave the UK to settle in a new lake within the EU" post-Brexit. The Doing Group paid the £65 processing fee and even attached a passport-style picture of Nessie. The Home Office rejected the application, however, and offered the artists a refund. Hannah Kendaru, 23, said: "We filed the application in good faith. However, the process was a difficult one. "Nessie has a reputation for being elusive - signatures, passport photos and other information were very difficult to obtain. "Nessie has lived in Scotland for a long time. Yet her origin is unknown. Due to the worries that Brexit has caused, it was only natural to apply for a residency permit." The arts group has asked the public to suggest an alternative home for the beast.